What is it? 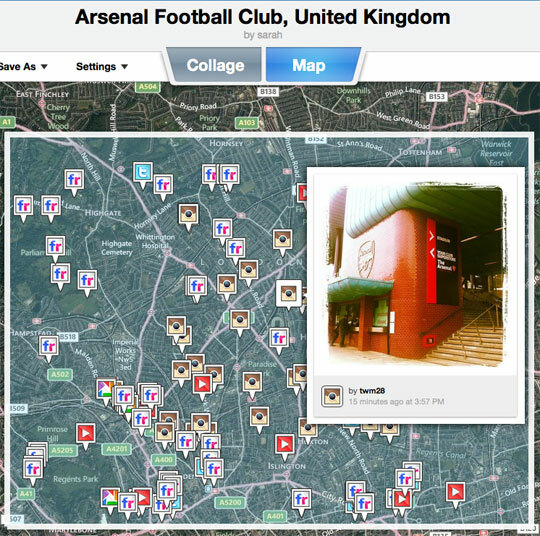 A tool that allows you to search for a location and find geolocated tweets, photos and videos. How is it of use to journalists? This tool offers potential for journalists faced with verifying a breaking news story. Search for a postcode, country, school or sporting stadium and you can see geolocated social media content posted on Twitter, Instagram, Picasa, Flickr and YouTube. Imagine hearing reports of a fire. With Geofeedia you could enter the address and see what images, videos and tweets are being shared on social media. Hat tip: Poynter, which has reported that Geofeedia came out of private beta earlier this week. Find out more about verification by reading this Journalism.co.uk guide. This entry was posted in Social media and blogging, Tool of the Week and tagged Flickr, geofeedia, journalism tool, Picasa, verification, YouTube on May 17, 2012 by Sarah Marshall.